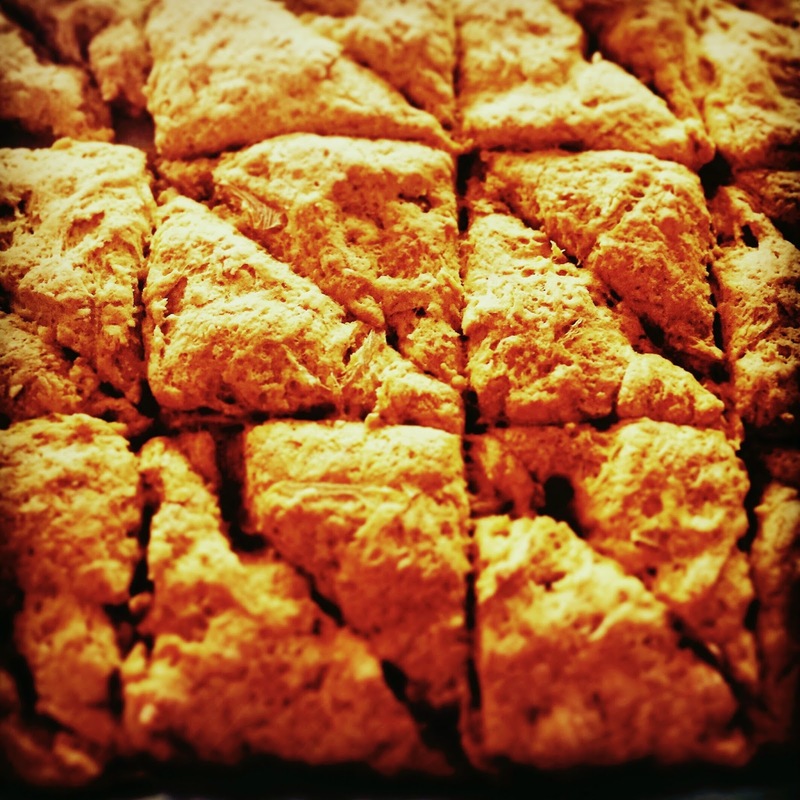 Pumpkin -Ginger Scones and the British Fixation ! To say that I am besotted by all things British would be a very accurate way of describing my fixation with it . Be it the incomparable British mysteries of the likes of Hercule Poirot , Victorian romances covered by Barbara Cartland or quintessential British baking as demonstrated by Delia Smith and Mary Berry , I need my daily fix of it all . The gentle reader might be compelled to ask as to how pumpkin scones fit in this fixation . Well , scones are decidedly British (at least the sweet ones ) and as regards pumpkin ..well you just have to follow my blog to know my current obsession with them . When I am not decorating them with acrylic paint for fall decor, I use the puree to make pumpkin donuts or pumpkin quick bread . British scones differ from American ones in the fact that while the latter serve more like a "bread " and are enjoyed with savory , the former are sweet and enjoyed with a nice cup of tea. Traditionally , they are made with either whole wheat or oats but for this recipe , I have used a combination of whole wheat and all purpose flour..If you want your scones to be softer, use only all purpose flour. I like mine to be a little coarser , not to mention healthier ..but then again if is a rainy day and I'm craving scones , who knows which way I might lean flour wise ? This is where I got the recipe from ..as usual some changes were done...pumpkin pie spice was added, more maple syrup and butter were added albeit small amounts ..the scones with the original recipe turned out quite bland and dry . Note regarding Candied Ginger - The recipe calls for candied ginger, don't fret if you don't have any .I made it at home by adding 1/2 cup of chopped ginger to 3 cups of water to which 1 cup of sugar was added . It was let to simmer for 30 minutes till the ginger was tender ,then was drained and left to dry . Honest admission - I cheated here ..the recipe calls for equal parts of sugar and water to glue them together ..I just got scared of the large quantity of sugar so used 1/3 ie 1 cup. If you want the authentic flavor /taste of candied ginger , stick to the equal ratio of sugar and water and remember to roll it into the sugar after fully drying it .Also, cut the ginger a bit more chunkier , mine was very thin as I personally dislike big chunks in my scones . Pre heat the oven to 400 degrees F and line a baking sheet with parchment paper. In a bowl sift the dry ingredients -flours,salt , baking powder, baking soda and ground ginger. Transfer the sifted ingredients to the food processor . Add the chopped cold butter and pulse the processor few times to distribute it evenly through the mixture . You can omit the food processor and use your finger tips to mix the butter in gently . The mixture should have the consistency of coarse corn meal . Transfer it to a bowl. In another small bowl , blend the pumpkin puree,maple syrup and butter milk . Add it to the flour-butter mixture along with the candied ginger. Give it 8-10 turns with a spatula until the dough just comes together.Make sure as to not over work the dough . 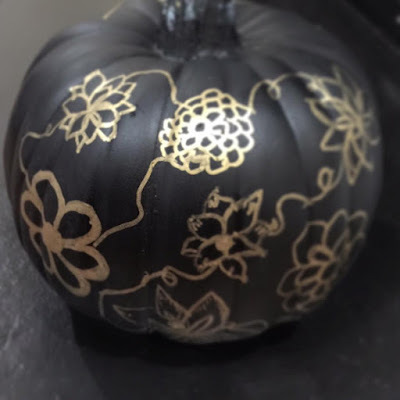 Transfer onto a slightly floured surface , press and shape into rectangular form . Cut into squares ,cut the squares further diagonally to form triangles . Transfer to a baking sheet and bake for 12-15 minutes till lightly brown. Cool on a wire rack and enjoy with a nice cup of tea .